This essay, or parts of it, can be freely republished by anybody who wants to, as long as Fjordman is credited as the author. The first three parts of this essay were originally posted at Jihad Watch: Part 1, Part 2, and Part 3. This essay can also be viewed in an easy-to-copy and printable format. I decided to write this essay after a comment from a journalist, not a Leftist by my country’s standards, who dismissed Eurabia as merely a conspiracy theory, one on a par with The Protocols of the Elders of Zion. I do not disagree with the fact that conspiracy theories exist, nor that they can be dangerous. After all, the Protocols and the Dolchstosslegende, or “stab in the back myth” — the idea that Germany didn’t lose WW1 but was betrayed by Socialists, intellectuals and Jews — helped pave the way for Adolf Hitler and the Nazis before WW2. However, what puzzles me is that it is a widely-held belief of many (not just in the Islamic world but in Europe and even in the United States) that the terror attacks that brought down the Twin Towers in New York City on September 11th 2001 were really a controlled demolition staged by the American government and then blamed on Muslims. I have seen this thesis talked about many times in Western media. While it is frequently (though not always) dismissed and mocked, it is least mentioned. In contrast, Eurabia – which asserts that the Islamicization of Europe didn’t happen merely by accident but with the active participation of European political leaders — is hardly ever referred to at all, despite the fact that it is easier to document. Does the notion of Eurabia hit too close to home? Perhaps it doesn’t fit with the anti-American disposition of many journalists? Curiously enough, even those left-leaning journalists who are otherwise critical of the European Union because of its free market elements never write about Eurabia. Because of this, I am going to test whether the Eurabia thesis is correct, or at least plausible. I have called this project The Eurabia Code, alluding to author Dan Brown’s massive bestseller The Da Vinci Code. Brown’s fictional account “documents” a conspiracy by the Church to cover up the truth about Jesus. I’m not sure my work will become equally popular, but I’m pretty sure it’s closer to reality. The next time Mr. Brown wants to write about massive conspiracies in Europe, he would be well-advised to set his eyes at Brussels rather than Rome. It would be a whole lot more interesting. What follows is a brief outline of the thesis put forward by writer Bat Ye’or in her book Eurabia: The Euro-Arab Axis. My information is based on her book (which should be read in full). In addition I have drawn from some of her articles and interviews. I republish the information with her blessing, but this summary is completely my own. 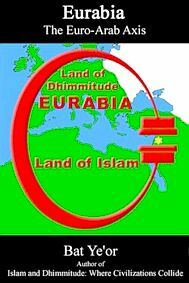 The use of the term “Eurabia” was first introduced in the mid-1970s, as the title of a journal edited by the President of the Association for Franco-Arab Solidarity, Lucien Bitterlein, and published collaboratively by the Groupe d’Etudes sur le Moyen-Orient (Geneva), France-Pays Arabes (Paris), and the Middle East International (London). 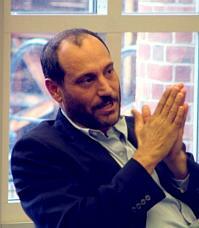 Their articles called for common Euro-Arab positions at every level. These concrete proposals were not the musings of isolated theorists; instead they put forth concrete policy decisions conceived in conjunction with, and actualized by, European state leaders and European Parliamentarians. During a November 27, 1967 press conference, Charles de Gaulle stated openly that French cooperation with the Arab world had become “the fundamental basis of our foreign policy.” By January 1969, the Second International Conference in Support of the Arab Peoples, held in Cairo, in its resolution 15, decided “…to form special parliamentary groups, where they did not exist, and to use the parliamentary platform support of the Arab people and the Palestinian resistance.” Five years later in Paris, July 1974, the Parliamentary Association for Euro-Arab Cooperation was created, under the Euro-Arab Dialogue rubric. Bat Ye’or has highlighted this shared Euro-Arab political agenda. The first step was the construction of a common foreign policy. France was the driving force in this unification, which had already been envisaged by General de Gaulle’s inner circle and Arab politicians. The Arab states demanded from Europe access to Western science and technology, European political independence from the United States, European pressure on the United States to align with their Arab policy and demonization of Israel as a threat to world peace, as well as measures favorable to Arab immigration and dissemination of Islamic culture in Europe. This cooperation would also included recognition of the Palestinians as a distinct people and the PLO and its leader Arafat as their representative. Up to 1973 they had been known only as Arab refugees, even by other Arabs. The concept of a Palestinian “nation” simply did not exist. During the 1973 oil crisis, the Arab members of the Organization of Petroleum Exporting Countries announced that, due to the ongoing Yom Kippur War between Israel and its Arab neighbors Egypt and Syria, OPEC would no longer ship petroleum to Western nations that supported Israel. The sudden increase in oil prices was had lasting effects. Not only did it create a strong influx of petrodollars to countries such as Saudi Arabia, which permitted the Saudis to fund a worldwide Islamic resurgence, but it also had an impact in the West, especially in Europe. However, Arab leaders had to sell their oil. Their people are very dependent on European economic and technological aid. The Americans made this point during the oil embargo in 1973. According to Ye’or, although the oil factor certainly helped cement the Euro-Arab Dialogue, it was primarily a pretext to cover up a policy that emerged in France before that crisis occurred. The policy, conceived in the 1960s, had strong antecedents in the French 19th-century dream of governing an Arab empire. This political agenda has been reinforced by the deliberate cultural transformation of Europe. Euro-Arab Dialogue Symposia conducted in Venice (1977) and Hamburg (1983) included recommendations that have been successfully implemented. These recommendations were accompanied by a deliberate, privileged influx of Arab and other Muslim immigrants into Europe in enormous numbers. 4. The necessity of cooperation between European and Arab specialists in order to present a positive picture of Arab-Islamic civilization and contemporary Arab issues to the educated public in Europe. These agreements could not be set forth in written documents and treaties due to their politically sensitive and fundamentally undemocratic nature. The European leaders thus carefully chose to call their ideas “dialogue.” All meetings, committees and working groups included representatives from European Community nations and the European Council along with members from Arab countries and the Arab League. Proceedings and decisions took place in closed sessions. No official minutes were recorded. The Euro-Arab Dialogue (EAD) is a political, economic and cultural institution designed to ensure perfect cohesion between Europeans and Arabs. Its structure was set up at conferences in Copenhagen (15 December 1973), and Paris (31 July 1974). The principal agent of this policy is the European Parliamentary Association for Euro-Arab Cooperation, founded in 1974. The other principal organs of The Dialogue are the MEDEA Institute and the European Institute of Research on Mediterranean and Euro-Arab Cooperation, created in 1995 with the backing of the European Commission. Eurabia’s driving force, the Parliamentary Association for Euro-Arab Cooperation, was created in Paris in 1974. It now has over six hundred members — from all major European political parties — active in their own national parliaments, as well as in the European parliament. 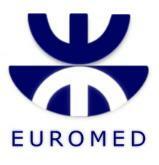 France continues to be the key protagonist of this association. On the cultural front there began a complete re-writing of history, which was first undertaken during the 1970s in European universities. This process was ratified by the parliamentary assembly of the Council of Europe in September 1991, at its meeting devoted to “The Contribution of the Islamic Civilisation to European culture.” It was reaffirmed by French President Jacques Chirac in his address of April 8, 1996 in Cairo, and reinforced by Romano Prodi, president of the powerful European Commission, the EU’s “government,” and later Italian Prime Minister, through the creation of a Foundation on the Dialogue of Cultures and Civilizations. This foundation was to control everything said, written and taught about Islam in Europe. Over the past three decades, the EEC and the EU’s political and cultural organizations have invented a fantasy Islamic civilization and history. The historical record of violations of basic human rights for all non- Muslims and women under sharia (Islamic Law) is either ignored or dismissed. In this worldview the only dangers come from the United States and Israel. The creators of Eurabia have conducted a successful propaganda campaign against these two countries in the European media. This fabrication was made easier by pre-existing currents of anti-Semitism and anti-Americanism in parts of Europe, although both sentiments have been greatly inflated by Eurabians and their collaborators. 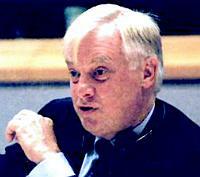 On January 31, 2001, with the recrudescence of Palestinian terrorist jihad, European Foreign Affairs Commissioner Chris Patten declared to the European Parliament that Europe’s foreign policy should give special attention to its southern flank (the Arab countries, in EU jargon), adding that he was delighted by the general agreement to give greater visibility to the Mediterranean Partnership. The new European civilization in the making can correctly be termed a ‘‘civilization of dhimmitude.’’ The word dhimmitude comes from the Koranic word ‘‘dhimmi.’’ It refers to the subjugated, non-Muslim individuals who accept restrictive and humiliating subordination to Islamic power in order to avoid enslavement or death. The entire Muslim world as we know it today is a product of this 1,300 year-old jihad dynamic, whereby once thriving non-Muslim majority civilizations have been reduced to a state of dysfunction and dhimmitude. The dhimmis are inferior beings who endure humiliation and aggression in silence. This arrangement allows Muslims to enjoy an impunity that increases both their hatred and their feeling of superiority, under the protection of the law. Eurabia is a novel new entity. It possesses political, economic, religious, cultural, and media components, which are imposed on Europe by powerful governmental lobbies. While Europeans live within Eurabia’s constraints, outside of a somewhat confused awareness, few are really conscious of them on a daily basis. This Eurabian policy, expressed in obscure wording, is conducted at the highest political levels and coordinated over the whole of the European Union. It spreads an anti-American and anti-Semitic Euro-Arab sub-culture into the fiber of every social, media and cultural sector. Dissidents are silenced or boycotted. Sometimes they are fired from their jobs, victims of a totalitarian “correctness” imposed mainly by the academic, media and political sectors. Are Bat Ye’or’s claims correct, or even possible? According to an eyewitness, Napoleon ended his proclamation with the phrase, “God is great and Muhammad is his prophet.” To Muslim ears, this sounded like the shahada — the declaration of belief in the oneness of Allah and in Prophet Muhammad as his last messenger. Recitation of the shahadah, the first of the five pillars of Islam, is considered to mark one’s conversion to Islam. Muslims could thus conclude that Napoleon had converted to Islam. In fact, one of his generals, Jacques Ménou, did convert to Islam. The French were later defeated and forced to leave Egypt by the English admiral Lord Nelson. Although the French expedition to Egypt lasted only three years, it demonstrated that the West was now so superior to the Islamic world that Westerners could enter the Arab heartland, then still a part of the Ottoman Empire, at will. Only another Western power could force them to leave. The shock of this realization triggered the first attempts to reform Islam in the 19th century. A positive result of Western conquest was the influx of French scientists into Egypt and the foundation of modern Egyptology. Most importantly, it led to the discovery of the Rosetta Stone, which was later used by French philologist Jean-François Champollion to decipher the ancient Egyptian hieroglyphs. However, the encounter also left a lasting impact in Europe, and above all in France. The French invasion of Algeria in 1830 marked another chapter in this tale. Later, the French ruled Tunisia and Morocco. Finally, after the First World War, the French gained mandates over the former Turkish territories of the Ottoman Empire that make up what is now Syria and Lebanon. After the Second World War, French troops gradually left Arab lands, culminating with war and Algerian independence in 1962. However, their long relationship with Arabs resulted in France’s belief that she had a special relationship with and an understanding of Arabs and Muslims. Along with French leadership in continental Europe, this would now provide the basis of a new foreign policy. President de Gaulle pushed for a France and a Europe independent of the two superpowers. In a speech, he stated that “Yes, it is Europe, from the Atlantic to the Urals, it is Europe, it is the whole of Europe, that will decide the destiny of the world.” In 1966, he withdrew France from the common NATO military command, but remained within the organization. Following the Six Days War in 1967, de Gaulle’s condemnation of the Israelis for their occupation of the West Bank and the Gaza Strip marked a significant change in French foreign policy. Previously, France — as well as the rest of Western Europe — had been strongly pro-Israel, even going to war together with Israel as late as 1956 against Nasser’s Egypt. From 1967 on, however, France embarked on a decidedly pro-Arab course. It has been said that English foreign policy has remained the same since the 16th century. Its goal was to prevent any country, whether Spain, France, or later Germany, from dominating continental Europe to the extent that it represents a threat to England. On the other hand, one could argue that French foreign policy has also remained the same for several centuries; its goal is to champion French leadership over Europe and the Mediterranean region in order to contain Anglo-Saxon (and later Anglo-American) dominance. This picture was complicated by the unification of Germany in the late 19th century, but its outlines remain to this day. Jean Monnet, French economist never elected to public office, is regarded by many as the architect of European integration. Monnet was a well-connected pragmatist who worked behind the scenes towards the gradual creation of European unity. In their analysis of the EU’s history, the authors claim that the EU was not born out of WW2, as many people seem to think. It had been planned at least a generation before that. 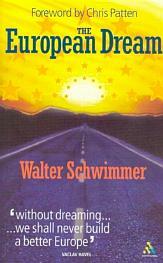 The Schuman Declaration of 9 May 1950, widely presented as the beginning of the efforts towards a European Union and commemorated in “Europe Day,” contains phrases which state that it is “a first step in the federation of Europe”, and that “this proposal will lead to the realization of the first concrete foundation of a European federation.” However, as critics of the EU have noted, these political objectives are usually omitted when the Declaration is referred to, and most people are unaware of their existence. Booker and North call the European Union “a slow-motion coup d’état: the most spectacular coup d’état in history,” designed to gradually and carefully sideline the democratic process and subdue the older nation states of Europe without saying so publicly. The irony is that France is now held hostage by the very forces she herself set in motion. The Jihad riots by Muslim immigrants in France in 2005 demonstrated that Eurabia is no longer a matter of French foreign policy, it is now French domestic policy. France will burn unless she continues to appease Arabs and agree to their agenda. The growth of the Islamic population is explosive. According to some, one out of three babies born in France is a Muslim. Hundreds of Muslim ghettos already de facto follow sharia, not French law. Some believe France will quietly become a Muslim country, while others are predicting a civil war in the near future. Maybe there is some poetic justice in the fact that the country that initiated and has led the formation of Eurabia will now be destroyed by its own Frankenstein monster. However, gloating over France’s dilemma won’t help. The impending downfall of France is bad news for the rest of the West. What will happen to French financial resources? Above all, who will inherit hundreds of nuclear warheads? Will these weapons fall into the hands of Jihadist Muslims, too? “The Euro-Arab Dialogue as a forum shared by the European Community and the League of Arab States arose out of a French initiative and was launched at the European Council in Copenhagen in December 1973, shortly after the “October War” and the oil embargo. As the Europeans saw it, it was to be a forum to discuss economic affairs, whereas the Arab side saw it rather as one to discuss political affairs. As Bat Ye’or points out, while most of the workings of Eurabia are hidden from the public view, sometimes we can catch glimpses of it if we know what to look for. If you search the archives of the MEDEA website and other sources and read the documents carefully, the information is there. Even more material exists on paper, both in French and in English. I argue, as does Bat Ye’or, that there are sufficient amounts of information available to validate the thesis of Eurabia. One of the documents Bat Ye’or was kind enough to send me (which she mentions in the French version of her book about Eurabia but not in the English version) is the Common Strategy of the European Council — Vision of the EU for the Mediterranean Region, from June 19th 2000. It also includes the goal of assisting the Arab partners with “the process of achieving free trade with the EU.” This may be less innocent than it sounds, as I will come back to later. The Strategy also wants to “pursue, in order to fight intolerance, racism and xenophobia, the dialogue between cultures and civilisations.” Notice that this statement preceded both the start of the second Palestinian intifada as well as the terror attacks of September 11th 2001. It was thus part of an ongoing process, rather than a response to any particular international incident. In plain English, it is difficult to see this bureaucratic obfuscation as anything other than an indicator that the EU countries will be lenient, adjusting their secular legislation to the sharia requirements of Muslim immigrants in family matters. This includes the creation of a free trade area, but also plans to “invigorate cultural/religious/civilisation and media dialogue using existing or planned instruments, including the planned Euro-Mediterranean Foundation for the Dialogue of Cultures and Civilisations. Super-Eurocrat Romano Prodi wants more cooperation with Arab countries. He talks about a free trade zone with the Arab world, but this implies that Arab countries would enjoy access to the four freedoms of the EU’s inner market, which includes the free movement of people across national borders. This fact, the potentially massive implications of establishing an “inner market” with an Arab world with a booming population growth, is virtually NEVER debated or even mentioned in European media. Yet it could mean the end of Europe as we once knew it. “It’s time to look south and relaunch a new policy of cooperation for the Mediterranean.” Prodi was outlining a joint Italian-Spanish initiative which sought to provide countries facing the Mediterranean with “different” political solutions from those offered in the Euro-Mediterranean partnership. The prime minister then explained that the Barcelona Process — whose best known aspect is the creation of a free trade zone by 2010 — was no longer sufficient and a new different approach was needed. “The countries on the southern shores of the Mediterranean expect that from us” he added. Again, exactly what does “co-operation on justice and home affairs” with Egypt, Syria and Algeria mean? I don’t know, but I’m not sure whether I will like the answer. The Barcelona declaration from 1995 encouraged “contacts between parliamentarians” and invited the European Parliament, with other Parliaments, to launch “the Euro-Mediterranean parliamentary dialogue.” In March 2004, this was converted into a specific institution called The Euro-Mediterranean Parliamentary Assembly, EMPA (pdf). During the Euro-Mediterranean Ministerial Conference in Crete in May 2003, the Ministers included a provision which envisaged the consultative role the Parliamentary Assembly will play within the framework of the Barcelona process. EU Commissioner Chris Patten has reiterated the European Commission’s readiness to co-operate fully with the Assembly, giving the Assembly the right to comment on any subject of interest to the Euro-Arab Dialogue. The Assembly consists of 120 members from EU countries, both members of national parliaments and of the European Parliament, and an equal number of representatives from the Parliaments of the Mediterranean partner countries. Like most Europeans, I hadn’t even heard about this institution before coming across it during an Internet search. However, it is apparently going to influence the future of my entire continent. This set-up leaves me with some questions. When we know that these “Mediterranean partner countries” include non-democratic Arab countries such as Syria, isn’t it disturbing that representatives from these countries should participate in a permanent institution with consultative powers over the internal affairs of the European Union? Especially when we know that our own, democratically elected national parliaments have already been reduced to the status of “consultation” with unelected federal EU lawmakers in Brussels? These agreements, completely rewriting European history books to make them more Islam-friendly, and gradually silencing “Islamophobia” as racism, are being implemented even now. 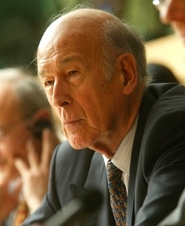 Walter Schwimmer, the Austrian diplomat and Secretary General of the Council of Europe from 1999 to 2004, told foreign ministers at the Islamic conference in Istanbul (June15th 2004) that the Islamic component is an integral part of Europe’s diversity. He reaffirmed the commitment of the Council of Europe to work against Islamophobia, anti-Semitism and other forms of intolerance. The Council was also actively involved in the co-organisation of a Conference on the Image of Arab-Islamic culture in European history textbooks, which took place in Cairo in December 2004. The event was held within the framework of the Euro-Arab Dialogue ’’Learning to Live together.’’ The aim of the conference was to examine negative stereotyping in the image of Arab-Islamic culture presented in existing history textbooks, and to discuss ways to overcome this stereotyping. In the European Parliament, the German Christian Democrat Hans-Gert Pöttering stated that school textbooks should be reviewed for intolerant depictions of Islam by experts overseen by the European Union and Islamic leaders. He said textbooks should be checked to ensure they promoted European values without propagating religious stereotypes or prejudice. He also suggested that the EU could co-operate with the 56-nation Organisation of the Islamic Conference to create a textbook review committee. In June 2005 in Rabat, Morocco, a conference was held on “Fostering Dialogue among Cultures and Civilizations.” The Conference was jointly organized by UNESCO, the Islamic Educational, Scientific and Cultural Organization (ISESCO), the Organization of the Islamic Conference (OIC), the Arab League Educational, Cultural and Scientific Organization (ALECSO), the Danish Centre for Culture and Development (DCCD) and the Anna Lindh Euro-Mediterranean Foundation for the Dialogue between Cultures (Alexandria, Egypt). Notice that this was months before the Danish Muhammad cartoons created havoc. It was not a reaction to this issue; rather it was a part of a sustained, ongoing process to promote the Arabic-Islamic culture in Europe. - Concrete initiatives to develop “intercultural competencies” in the training of new generations of journalists — Concrete initiatives for links and exchanges between journalists, editors, media-institutions, which encourage intercultural co-operation” — Concrete initiatives for curriculum development through new educational materials and revision of existing textbooks. Although not stated directly, one may reasonably assume that among the “negative stereotypes” to be removed from the textbooks used to teach history to European schoolchildren are any and all references to the 1300 years of continuous Jihad warfare against Europe. These recommendations were accepted and incorporated into The Rabat Commitment. encourage debate in the media on the image which they convey of Islam and on their responsibility to avoid perpetuating prejudice and bias. Eurabians want to create a unity of the Mediterranean region. This desire is strikingly similar to the goals of some Islamic organizations. The Muslim Brotherhood, regarded as the most important Islamic movement of the past century, was founded by Hassan al-Banna in 1928, inspired by contemporary European Fascists in addition to Islamic texts. Patrick Poole describes how discussion of a document called “The Project” so far has been limited to the top-secret world of Western intelligence communities. Only through the work of an intrepid Swiss journalist, Sylvain Besson, has information regarding The Project finally been made public. It was found in a raid of a luxurious villa in Campione, Switzerland on November 7, 2001. The target of the raid was Youssef Nada, who has had active association with the Muslim Brotherhood for more than 50 years. Included in the documents seized was a 14-page plan written in Arabic and dated December 1, 1982, which outlined a 12-point strategy to “establish an Islamic government on earth” – identified as The Project. According to testimony given to Swiss authorities by Nada, the unsigned document was prepared by “Islamic researchers” associated with the Muslim Brotherhood. It represents a flexible, multi-phased, long-term approach to the “cultural invasion” of the West. Included among this group of Muslim Brotherhood intellectuals is Youssef al-Qaradhawi, an Egyptian-born, Qatar-based Islamist cleric. Both Sylvain Besson and Scott Burgess provide extensive comparisons between Qaradhawi’s publication, Priorities of the Islamic Movement in the Coming Phase, published in 1990, and The Project. They note the striking similarities in the language used and the plans and methods both documents advocate. Youssef al-Qaradhawi, one of the most influential clerics in Sunni Islam, has predicted that “Islam will return to Europe as a conqueror and victor,” was an important figure during the Muhammad cartoons riots, whipping up anger against Denmark and the West. One of the Muslim Brotherhood’s first pioneers in Germany was Sa’id Ramadan, the personal secretary of Brotherhood founder Hassan al-Banna. The oil-rich kingdom of Saudi Arabia has granted an influx of money to the powerful Islamic Center of Geneva, Switzerland, run by Sa’id’s son Hani Ramadan, brother of Tariq Ramadan. Hani Ramadan was made infamous by — among other things — a 2002 article in the French daily Le Monde defending the stoning of adulterers to death. Tariq Ramadan, a career “moderate Muslim,” later called for a “moratorium” on stoning. The instructions given in the book told Muslims to get together and organize themselves into viable Muslim communities. They should set up mosques, community centres and Islamic schools. At all costs they must avoid being assimilated by the majority, and to resist assimilation must group themselves geographically, forming areas of high Muslim concentration. Douglas Farah writes about the largely successful efforts by Islamic groups in the West to buy large amounts of real estate, territory that effectively becomes “Muslim” land once it is in the hands of Islamist groups. Some groups are signing agreements to guarantee that they will only sell the land to other Muslims. The Brotherhood, particularly, is active in investments in properties and businesses across Europe, laying the groundwork for the future network that will be able to react rapidly and with great flexibility in case of another attempted crackdown on the group’s financial structure. Most of the money comes from Saudi Arabia and Kuwait. According to Farah, the governments of Europe and the United States continue to allow these groups to flourish and seek for the “moderate” elements that can be embraced as a counter-balance to the “radical” elements. During the parliamentary assembly, Egyptian parliament speaker Ahmed Sorour insisted that the cartoons published in Denmark and other recent events showed the existence of a “cultural deficit.” Jordanian MP Hashem al-Qaisi also condemned the cartoons, claiming that it is not sufficient to deplore the cartoons as these things might occur again in another country. Following the cartoons affair, EU foreign policy chief Javier Solana had travelled to the Middle East and made joint statements with Islamic leaders that “freedom of the press entails responsibility and discretion and should respect the beliefs and tenets of all religions.” Solana said that he had discussed means to ensure that “religious symbols can be protected.” He held talks with Sheikh Mohammed Sayed Tantawi of Al Azhar University, the highest seat of learning in Sunni Islam, and Arab League Secretary-General Amr Moussa. Only a few years earlier, Mr. Solana, then Secretary General of NATO, in a speech stated that “the root cause of conflicts in Europe and beyond can be traced directly to the absence of democracy and openness. The absence of the pressure valve of democratic discourse can lead these societies to explode into violence.” The irony that he himself is now trying to curtail the democratic discourse in Europe through the promotion of Islamic censorship apparently did not occur to him. A report from the EU’s racism watchdog said that more must be done to combat racism and “Islamophobia.” One method of accomplishing this is the promotion of a lexicon which shuns purportedly offensive and culturally insensitive terms. This lexicon would set down guidelines for EU officials and politicians prohibiting what they may say. “Certainly ‘Islamic terrorism’ is something we will not use ... we talk about ‘terrorists who abusively invoke Islam’,” an EU official said. Early in 2006, the EU’s human rights commissioner Alvaro Gil-Robles’s criticized a plan to revamp Christianity as a school subject in elementary schools in Denmark. Gil-Robles said doing so went against European values. “Religion as a school subject should be a general course that attempts to give students insight into the three monotheistic religions [my emphasis],” he said. The “three monotheistic religions” means Christianity, Judaism and Islam. What the European Union does, however, is to treat Islam as a traditional, European religion on par with Christianity and Judaism. This is a crucial component of Eurabian thinking and practice. Notice how EU authorities in this case directly interfered to force a once-independent nation state to include more teachings of Islam in its school curriculum in order to instill their children with a proper dose of Eurabian indoctrination. Notice also that they didn’t ask for more teaching of Buddhism or Hinduism. Only Islam is being pushed. In another case, the European Commission rebuffed a call by the Polish president for an EU-wide debate on reinstating the death penalty. “The death penalty is not compatible with European values,” a Commission spokesman said. Again, the issue here is not your opinion regarding the death penalty. The real issue is that the metasticizing EU has already defined for you what constitutes “European values.” Thus, major issues are simply beyond public debate. This innocent-sounding phrase “European values” cloaks a federal, Eurabian ideology enforced across the entire European Union without regard to the popular will. According to Bat Ye’or, fear of awakening opposition to EU policy toward the Arab Mediterranean countries led to the repression of all discussion of the economic problems and difficulties of integration caused by massive immigration. Any criticism of Muslim immigration is basically brushed off as being “just like the Jews were talked about in Nazi Germany,” a ridiculous but effective statement. Professional harassment, boycott and defamation punish those who dare to openly challenge the Politically Correct discourse. According to Bat Ye’or, this has led to the development of a type of “resistance press” as if Europe were under the “occupation” of its own elected governments. This free press on the Internet and in blogs has brought some changes, including the rejection of the European Constitution in 2005. Despite overwhelming support for the Constitution by the governments in France and the Netherlands and a massive media campaign by political leaders in both countries, voters rejected it. Blogs played a significant part in achieving this. Only a few months later, EU authorities lined up together with authoritarian regimes such as Iran, Saudi Arabia, Cuba and the Chinese Communist Party in favor of “more international control with” (read: censorship of) the Internet. Vladimir Bukovsky is a former Soviet dissident, author and human rights activist who spent a total of twelve years in Soviet prisons. Now living in England, he warns against some of the same anti-democratic impulses in the West, especially in the EU, which he views as an heir to the Soviet Union. In 2002, he joined in on protests against the BBC’s compulsory TV licence. “The British people are being forced to pay money to a corporation which suppresses free speech — publicising views they don’t necessarily agree with.” He has blasted the BBC for their “bias and propaganda,” especially in stories related to the EU or the Middle East. She quotes follow writer from Poland Czesław Miłosz, who won the Nobel Prize in Literature in 1980 for books such as The Captive Mind, where he explained the seductiveness of totalitarian ideology. One essay by Miłosz is titled “Ketman.” “Ketman” or “kitman” is an Islamic term brought to Miłosz’s attention by Arthur Gobineau’s book Religions and Philosophies of Central Asia. He had noticed that the dissidents in Persia, long accustomed to tyranny, had evolved a style of their own. The need for survival often involved more than just keeping your mouth shut, but of actively lying in every way necessary. This strategy of dissimulation and deceit, which is especially pronounced by Shia Muslims but also used by Sunnis, is primarily used to deceive non-Muslims, but can also be used against other Muslims under duress. According to Miłosz, a very similar strategy was used in Communist countries. Similar to Islam, those practicing dissimulation felt a sense of superiority towards those who were stupid enough to state their real opinions openly. In Communist societies, dissimulation was just as much a technique of adaptation to an authoritarian regime as a conscious, theatrical form of art that became increasingly refined. Native Europeans and indeed some non-Muslim immigrants are quietly leaving in growing numbers, gradually turning the continent into a net exporter of refugees rather than an importer of them. When large parts of Europe are being overrun by barbarians — actively aided and abetted by our own trusted leaders — and when people are banned from opposing this onslaught, is Western Europe still a meaningful part of the Free World? Have the countries of Eastern Europe gone from one “Evil Empire” to another? Are they — and we — back in the EUSSR? Vaclav Klaus, the conservative President of the Czech Republic, has complained that: “Every time I try to remove some piece of Soviet-era regulation, I am told that whatever it is I am trying to scrap is a requirement of the European Commission.” In an interview with Paul Belien of the Brussels Journal in February 2006, Vladimir Bukovksy warned that the European Union is on its way to becoming another Soviet Union. Mr Bukovsky called the EU a “monster” that must be destroyed, the sooner the better, before it develops into a fully-fledged totalitarian state. The European Commission proposed the controversial idea of a singing event in all member states to celebrate the European Union’s 50th “birthday,” the 50th anniversary of the 1957 Treaty of Rome. Commissioner Margot Wallstrom was lobbying for big-style birthday celebrations to “highlight the benefits that European integration has brought to its citizens.” Diplomats said the idea had sparked feelings of disgust among new, formerly Communist member states such as Poland, Hungary and the Czech Republic, which were reminded of “Stalinist times” when people were forced by the state to sing. Brussels decided on a more modest celebration, also intended to spend around €300,000 on the appointment of 50 citizen “ambassadors,” dubbed the “Faces of Europe,” who are supposed to “tell their story” throughout the year on what the EU means to them in their daily life, as well as a series of activities for school children and youngsters. Germany will go ahead with its own idea to let thousands of its bakeries bake 54 sorts of cakes with recipes from all 27 member states. The Peace of Westphalia in 1648 ended the Thirty Years’ War, the last major religious war in Europe, and helped lay the foundations for modern nation states. Before nation states, we thus had a pattern of borderless religious wars and civil wars. This is what we have returned to, full circle, only this time a borderless Jihad is triggering civil wars in Europe. While the EU may help prevent wars between nation states with old grudges, such as Germany and France, it may also actively cause other kinds of wars. It accomplishes this by increasing Multicultural tensions and a dangerous sense of estrangement between citizens and those who are supposed to be their leaders. The West’s largesse continued despite a demographic study in 2005 which revealed that the number showing the Palestinian population in the West Bank and Gaza had been inflated by 50% by the government. However, a report by the Foundation for the Defense of Democracies later found that: “There is indisputable evidence that PA money has been used to fund terrorist activities.” This was confirmed by Fuad Shubaki, who used to serve as the finance chief in the Palestinian security forces. According to him, former Palestinian Authority chairman Yasser Arafat ordered millions of dollars, taken from international aid funds, tax money transferred by Israel and from Arab countries, to be used to purchase weapons and ammunition, including the 50 tons of armaments on board the ship Karine A. The transaction was coordinated between the PA, Hizballah in Lebanon and the Iranian Revolutionary Guards. In May 2006, Mahmoud Abbas — President of the Palestinian Authority after Arafat’s death in November 2004 and a leading politician in Fatah — talked to the European Parliament about the peace process. At the same time, the al-Aksa Martyrs Brigades, the armed wing of Fatah, threatened to strike at US and European economic and civilian interests in response to international sanctions on the PA. Financial support evokes no gratitude in the Palestinians. However, they will threaten you with violence if aid is not forthcoming. This is plainly extortion. This shakedown corresponds to the Muslims’ view of the Jizya, the tributary tax paid by non-Muslims in exchange for not being killed. Documents from the Euro-Arab Dialogue frequently mention about “financial assistance” from the EU to Arab countries. Bat Ye’or points out that some of this Jizya tax is extracted from Europeans without their awareness. In November 2005, the EU’s official financial watchdog refused to approve the EU’s accounts for the 11th year in a row because they were so full of fraud and errors. The European Court of Auditors refused to give a statement of assurance on the EU’s $160.3 billion budget for 2004. “The vast majority of the payment budget was again materially affected by errors of legality and regularity,” it said. It specifically refused to approve the budgets for the EU’s foreign policy and aid programs, many of which are geared towards Arab countries. Half the project budgets approved by the European Commission were inadequately monitored. The European Commission is considered the EU’s “government,” and thus the government of nearly half a billion people. But it can release accounts with massive flaws for over a decade straight because it is largely unaccountable to anybody and was intended to be that way. Muslims use deception to advance Jihad until it is almost too late for the infidels to stop them. The EU federalists and Eurabians have taken a page out of the Islamic playbook, and have been approaching their goals by stealth for decades, buried beneath a mass of detail and technocratic newspeak all but incomprehensible to non-bureaucrats. The European Union has been compared to the Roman Empire, but such comparisons are not very apt. Rome was the military superpower of its time, while the EU is but a military midget. However, there is one intriguing commonality: Julius Caesar was murdered because he wanted to crown himself king. This was not a popular move among the powerful elite in the Senate, who reminded Caesar that Rome had become a Republic precisely because they had rebelled against the “tyrant” kings of old. 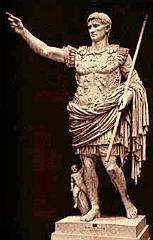 Caesar’s successor Octavian, better known today as Caesar Augustus, is considered both the first and one of the most important Roman Emperors. He downplayed his own position by preferring the title princeps, usually translated as “first citizen”. He also preserved the outward form of the Roman Republic, paid lip service to the old elite, and veiled the changes to make them seem less upsetting to the public. He may have been a monarch, but he never called himself one. Some might see a parallel in the present-day EU. When up to three-quarters of our national laws originate in Brussels, what is then the point of holding national elections? Just as in Octavian’s Rome, the real power has been moved elsewhere, but the old order is draped over reality as a democratic fig leaf in order not to upset the common people. The EU operates largely by stealth; its edicts are implemented through traditional parliaments, which are increasingly reduced to decorative appendages. The funny aspect of this is that those who are against the EU are labelled xenophobes, nationalists or simply anti-democratic forces. The EU is an organization where unelected bureaucrats dismantle democracy, yet denounce their critics as anti-democratic forces. In order to create this new entity, the old nation states must be deliberately crushed. Massive numbers of non-European immigrants are introduced, and the resulting situation is termed a “Multicultural society”. This demolition is followed by the demand that our entire society be changed accordingly. Since Europeans feel less “European” than they experience themselves as French, Italian, Dutch, etc., national allegiances have to be broken down. At the same time, an external rival must be created. The closest model is Bismarck’s unification of Germany. The numerous German states rallied to Prussia’s side against the French in the Franco-Prussian War in 1870, thus paving the way for a new, powerful German federation. The EU federalists strive to build a united European state through a shared animosity against the USA, while constructing a Eurabian entity of Europe and the Arab world via their common hostility towards Israel. One tactic is the deliberate use of the media to whip up anger against these countries and to demonize them. However, Bismarck’s German states were united by a common language. Even if a “new us” could be constructed from dozens of nations — which is highly questionable — melding various ethnic groups into a cohesive nation takes centuries. Without a shared identity, without a European demos, how can the EU be anything but authoritarian? Perhaps the EU elites believe that a large mass of people lacking a distinct cultural identity would be easier to control? Totalitarian regimes can be national, such as Nazi Germany, but they can also be supranational, such as the Soviet Union, which sought to suppress all pre-existing national loyalties. It’s a matter of scale. If a small group of people sideline the democratic process in one country and start imposing their own laws on the public, it’s called a coup d’état. If they do so on an entire continent, it’s called the European Union. Adolf Hitler’s autobiography Mein Kampf described a propaganda technique known as “the Big Lie”. 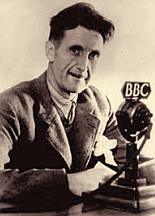 The EU has adopted this strategy, which consists of telling a lie so “colossal” that it would be impossible to believe anyone “could have the impudence to distort the truth so infamously.” This has been combined with the technique, perfected by Propaganda Minister Joseph Goebbels in Nazi Germany, of repeating a point until it is taken to be the truth. Muslim immigration is “good for the economy” and is necessary for funding the welfare state in the future, despite the fact that it drains away enormous resources. However, while ignorance, corruption and the self-serving search for personal power explains some of the behavior of the Eurabian elites, it cannot explain the behavior of ALL those thousands of people who have been involved in these networks. Some of them must have convinced themselves that what they were doing was for a just cause, if for no other reason than because human vanity demands that we justify our actions by covering them with a veneer of goodness. In the science fiction movie Serenity, the two great superpowers, the United States and China, have merged into the Alliance, which has moved humanity to a new star system. On the little-known planet Miranda, a gas called Pax was added to the air processors. It was intended to calm the population, weed out aggression. It worked. The people stopped fighting. They also stopped doing everything else, including breeding and physical self-preservation. A small minority of the population had the opposite reaction to this pacification. Their aggression increased beyond madness, and they killed most of the others. Tens of millions of people quietly let themselves be wiped out. Former Europeans who fought against Jihad fought for a number of things: Their religion, their culture and their nation. EU federalists and Eurabians are deliberately suppressing all of these instincts in their quest to create a New Man and weed out aggression. However, because they have wrongly identified the nation state as the root cause of all evil, they are suppressing not just aggressive nationalism, but defensive patriotism. And since some of the Muslims have actually become even more aggressive in response to what they perceive as our nihilism, the Eurabians have suicidally disarmed their own people, literally and metaphorically, and put them up for slaughter. Many Communists, at least in the beginning, really believed in their ideology. The result was mass slaughter; tens of millions of people were killed in the quest for a world without oppression or exploitation. The road to Hell is paved with good intentions. Regardless of how good your intentions may be, you cannot use millions of people as guinea pigs in massive social experiments without also causing massive harm. Perhaps one of the reasons why this has been allowed to happen in Western Europe and the European Union is because we never fully understood or attempted to confront the reasons for the abysmal failure of Communism in Eastern Europe and the Soviet Union following the Cold War. The concept of massive social experiments to create a New Man was allowed to survive. It mutated and then migrated West. Jean Monnet, who set in motion the process of European integration, reflected on how the European civil service constituted a ‘laboratory’ in which a new kind of ‘European Man’ would be born. But the New European Man, just like the New Soviet Man before him, is all but certain to fail. Can the European Union be reformed? I doubt it. The EU is bound together by a self-serving class of bureaucrats who want to expand their budgets and their power, despite the harm they do. These functionaries will use traditional methods of deception to counteract any calls for reforms so they can retain control. That a man who has openly bragged about how EU federalist goals are advanced by “disguise and subterfuge” leads the attempts to “renew” the EU Constitution tells ordinary Europeans everything we need to know about the EU. If the EU elites have deliberately deceived us for decades to achieve their goals, why should we suddenly trust them now? Fool me once, shame on you. Fool me twice, shame on me. These people have fooled us enough. I understand concerns that the destruction of the EU could cause “instability” in Europe. It will. But we will probably end up with “instability” anyway, given the number of Muslims the EUrabians have let in. The choice is between a period of painful years in which most of Europe prevails, and death, where Europe simply ceases to exist as a Western cultural entity. Some would hope that we could keep the “positive” aspects of the EU and not “throw out the baby with the bath water.” I beg to differ. The EU is all bath water, no baby. There never was a baby, just a truckload of overpaid babysitters. Multiculturalism separates people into “tribes” below the nation state level. This is precisely the situation we had in Europe in the Middle Ages. Likewise, the idea that we should “respect” other cultures by not criticizing them means turning the clock back several centuries to the pre-Enlightenment era. Multiculturalism is merely a medieval ideology, and will generate medieval results. Although the EU will fail in creating a pan-European identity, it has already partly succeeded in weakening the traditional nation states. Across Western Europe, Muslim immigrants tend to settle in major cities, with the native population retreating into the countryside. This destruction of the coherence of society is triggering a return to tribalism, as people no longer trust the nation state to protect them. The process has been explained by Ernest Baert: “Over many centuries, Western Europe has replaced the tribe or clan by the nation state.” The result was that “European citizens tend to have equal trust in all other citizens of the same nation state outside their immediate family and circle of friends.” This “high-trust society” was a necessary precondition not only for the success of a capitalist economy in Europe, but also for the rise of democracy. While ordinary Europeans live in fear of Muslim violence in their own cities and trust in their own leaders is plummeting, EU elites meet in cocktail parties and congratulate each other for bringing peace to Europe. The European Union promised a Brave New World where wars and ethnic rivalries were a thing of the past. Will it deliver the Middle Ages? Maybe that’s what Utopias tend to do. You are an amazingly prolic and insightful writer!! Thank you very much. Wow! I feel like I just watched the Lord of the Rings Triology back to back. Quite an expansive article, a lot of history and divergent threads all neatly pulled together. I honestly think a large part of Europe as we know it is doomed. The very things that Europeans, (and the American left), hold in contempt about the US and Israel are their only hope of salvation. Self reliance, patriotism, a willingness to fight, masculinity, a belief in God - these are punchlines to a joke in Vienna, Paris and London. I just don't see how this cutural brainwashing and deathbed demographics can be reversed in time. Interesting that it all started in France - Why am I not surprised? The amazing thing is that as Englishmen and Germans are shopping for burkas for their daughters in the not too distant futire, (because its just safer, and besides, it's a major religion with a rich cultural heritage darling...), they will still be making jokes about what an idot Bush was, and laughing at the knuckle draggers going to Nascar races. Self congratulation is a hard habit to kick, and in this case, quite possibly fatal. Currently it looks like the Marxist-Islamist campaign, a form of 4th Generation Warfare, will continue to disrupt, degrade and ultimately destroy the integrity of the countries of western Europe. I'm not sure exactly what the situation will be in a decade or two; I hope that a sane administration will take control in the USA and that might help a little as anti-Americanism might be reduced. As Europeam society collapses I don't know if some native and non-Muslim-immigrant groups will fight. My own folk, the people of Ulster, are very unusual in that they were traditionally immunised to the cultural_Marxist virus for the following reason: C-M discurse was used by their traditional enemies, the Irish Catholics, as a proganda weapon. Hence the Ulster folk, almost uniquely in Europe, inherently regard C-M with suspicion. But there are 1 million of them in one corner of a small island, and I'm sure C-M has made some headway there since I left. I think other native European minority groups such as the Basques will also ultimately prove the most hostile to European Islamisation; but I suspect the Euro-elite will not hesitate to use extreme violence against them. Many of the elite would love to see my people genocided for their lack of C-M; that likely goes for other "ornery" native minorities like the Flems in Belgium, if too many vote for the Vlaams Belang. The NATO bombing of Serbia showed that the C-M elite in Europe and USA are not averse to violence when it's directed against certain groups approved for destruction, like the Serbs. What seems to most convince me about the Euro-Arab dialogue and the EU surrender to Islamofascism is that it does not appear that Europe is doing anything in terms of immigration to change this. In fact, given the hostility of the Eurofascist left (that is NOT a contradiction) to the "Polish Plumbers", it seems like the one source of immigration that might best save Western Europe -- Eastern Europe -- is actually being discouraged. Why not get your immigrants from Romania, Ukraine or Moldova instead of Turkey, Algeria and Pakistan? Another possible source of immigrants would be Latin America, especially for Spain, Portugal and (arguably) Italy, yet I find little if anything on the internet about these nations trying to turn to Latin America to get workers (who, based on what I see here in the USA, work pretty hard), apart from a minor influx of Argentines to Spain. If the EU was not completely in thrall to the Islamonazis, then one would expect them to be actively recruiting permanent immigrants from both of these sources, and arguably even Southeat/East Asia (Philliphines, Thailand, Burma, China). Yet this is not happening. I guess the Islamonazis really are calling the shots, and the Europeans dance to it. 1. Displacing the illegal south Americans, who can no longer afford the rents. 2. Brought numbers of tough-looking, white-skinned (pasty-skinned, actually) young men, often drinking beer, onto the streets. #2 is definitely a reversal for the Islamists, who are working hard on promoting Muslim immigration into the area to reverse this. My passport was stolen last summer, apparently a local taxi firm (named after a spring near Mecca) collects the stolen passports and sends them on, suitably altered, to Muslim illegals who want one. How funny, I hadn't thought of the Dolchstuss myth in years. . .and was reading up on it just the other day. It's a familiar political trick, historically. I wonder which way the dagger will point next time ? The majority of immigrants in Spain come from Latin America, not Muslim countries. They account for more than 50%. Most of them are really welcommed and their integration into Spanish life has so far been succesful. However, and given the fact that we are neighbours, Moroccans make up the single largest national group in Spain, and they account for something between one fourth and one third of the immigrant population. If you add an increasing number of Subsaharan Africans (most of them Muslims), then you see they are growing up: courtesy of both, geography and the too welcomming attitude of our dhimmi Government. We also have large Eastern European and Asian communities. It is interesting to note that Muslims are a higher proportion of immigrants in the two regions with local nationalist parties: Catalonia and the Basque Country; as their Governments have chosen to attract them in order to dilute the Spanish-speaking influence of Latin-Americans...Interesting. Whilst I agree that the Eurabia theory may well become a reality, I don't believe it's inevitable. The truth is many european countries are seeing an increasing hostility amongst their population to islamic immigration, the hard-left behaviour of their governments and the EU. The unrepresentative nature of the EU will surely scupper this whole project, as people don't like to feel powerless, yet that's increasingly how they feel as powers are handed over to the EU bureaucracy. We'rea already seeing the first signs of this hostility begin to surface, and the increasing clampdown on anything related to the european question by the euro-friendly media is just one indication of how worried they are by the way people feel. Nothing is inevitable. To believe otherwise is to lose hope. The Daily Telegraph has an article that is getting near the truth but has a little way more to go. Ministers appear whimsically to be shifting from the multi-cultural society towards an integrated one. They are whistling in the dark if they think that will play well with the followers of Islam in our midst. Muslims are rooted in their faith and it governs the way they live. It is the only faith on Earth that persuades its followers to seek political power and impose a law — sharia — which shapes everyone's style of life. For some years now, I have been close to events in Sudan, north and south, on behalf of this newspaper. I find the power of Khartoum awesome. It defies the world over Darfur and will continue to do so. It has reduced Sudan to ruin in an interminable civil war, the mainspring of which was Khartoum's insistence on sharia for the Christian or animist south. That harsh aspect of Islam is no help at all to relationships here. We see an example of it in the death sentence handed down on a British subject, Mirza Tahir Hussain, in Pakistan that so concerns the Prince of Wales. That was the decision of a religious court. I say all this not in hostility to Muslims, but because, unless we get a clearer understanding of their religion, we shall find peaceful co-existence with the moderate majority (which is crucial) ever harder to attain....It is vain to say: "Well, if they come here, they must conform with British society and its easy ways." Muslims will not do that. Their religion forbids it. Its getting better and better. Appeasement works. Atlast people are beginning to realise the folly, of allowing Muslims into the West. The author is getting near the truth but has a little way more to go. The author proposes the idea, "perhaps we should be thinking in terms of a supreme council on which our principal religions, including Islam, would sit and try to resolve misunderstandings". What an absurd idea. As far as Muslims are concerned all aspects of society are religio-political. His proposal would mean the dissolution of the Appeals Court and parliament, and its replacement by a 'supreme council'. Britain will effectively become a theocratic nation. Still, the article merits some praise for raising the issue. Even the proposal is of some merit, as its very absurdity shows that something a bit more innovative is required. I think we need a year or so of more base appeasement before Islamic demands, and some unmentionables, before the pennies start dropping. This article also illustrates that Britain is not lost - not by a long way. Read the commentators in this article - most are proposing that Muslims have to find another place if they wish to be 'devout' Muslims. I also dont believe that Fjordman feels that Europe is 'lost'. If he felt so, he would'nt bother writing. "I also dont believe that Fjordman feels that Europe is 'lost'. If he felt so, he would'nt bother writing." Hm, I feel I have to point out that the author, Bill Deedes, is about 90 years old! Author of the Telegraph article, I mean. Vol-in-law posted: Hm, I feel I have to point out that the author, Bill Deedes, is about 90 years old! What is most interesting is the response from the readers. Subjects that could not be mentioned, and mentioned only in blogs such as LGF, are now published in a mainline English language newspaper. When I wrotre, "most are proposing that Muslims have to find another place if they wish to be 'devout' Muslims", that is putting it mildly. I'm curious, everyone: I've heard that some of the activities that led to the formation of the EU are starting to take place in North America via "NAFTA-plus." Is this true? Is it something with which we should be concerned? The charges made by Bat Ye’or are correct: the leadership of Europe has conspired for decades to surrender Europe to the authority of a global Muslim empire (that has as its primary goal the destruction of Israel). This is criminal behavior on a massive scale; a treachery as evil as leaving the borders of a nation one has sworn to defend unprotected! It is clear that the most powerful leaders of Europe should all be removed from office and, along with their predecessors and likely successors, placed on trail for treason. You see, the multiracial society has become unruly, even revolutionary at times and White Europeans are correctly blaming the political leaders and the media for forcing millions of non-Western immigrants upon them – who are now becoming a threat to their lives. They do not want Muslims from Africa, and all over the third world, repopulating Europe. They blame the political leaders who have demanded that they politely accept these hordes of hostile peoples as their fellow citizens, that they pay astronomical taxes to support the enormous families of this unending flood of new arrivals. What are the European opinion makers going to say when their protected class of color - imported against the will of "racist" locals - is proving not merely a burden on society, but an imminent danger to the public safety? What are these traitors going to say when all hell is breaking loose? They'll deny realilty. That's what they've done up to now, and it's hard to break such a habit. They'll be hapilly broadcasting their haw-haw from behind the gates of White City even when the mobs are breaking them down. Pd111 and archonix, my impression is that you're both right - mainstream British society seems increasingly tired of submission to aggressively hostile Islamist demands; OTOH the cultural Marxist BBC and Guardian are going to heroic lengths to keep these feelings from breaking loose into active verbal defiance. quote from essay: "Although not stated directly, one may reasonably assume that among the “negative stereotypes” to be removed from the textbooks used to teach history to European schoolchildren are any and all references to the 1300 years of continuous Jihad warfare against Europe. These recommendations were accepted and incorporated into The Rabat Commitment." I have to say that I am against this.. Complete and unbiased world history needs to be taught to everyone. If something happened, then it should be put in a history book, regardless of who is slighted. But it brings to mind something I heard someplace, "History is written by the victors." And thats kinda scary right there. My ISP (wanadoo) claims that it can't resolve the DNS name for chromatism.net, (it works from work). Strangely, it doesn't work for the Jawa report either. "history is written by the victors" is a cultural-marxist bromide. Remember, marx' basic idea regarding ideas is that they are a product of social class. "[pre 1973,]The concept of a Palestinian "nation" simply did not exist." That's not a simple fact, and it makes me too skeptical to continue reading. Could you please elaborate? This just seems to be the paranoid ravings of a run of the mill Zionist. It is fascinating but sprinkled with cherry picked facts to bolster the author's case. For instance French overtures to the Arabs are no more remarkable than similar attempts by the USA to create regional organizations in the western hemisphere such as the OAS, NAFTA, CAFTA etc. Not to mention the Monroe Doctrine and what about NATO, APEC, ASEAN etc. The "World" Bank and "International" Monetary Fund? The author preys upon Islamophobia by saying discourse between Europe and the Arab World is somehow by its very nature nefarious. It's no more nefarious than any nation wanting to have good relations and cultural understanding with its' neighbors. It's certainly been much less violent than America's one sided backing of Israel. After all the vast majority of aggression and killing of innocents in the Middle East has been perpetrated by Israel & America. The author states among other common myths that "Up to 1973 they had been known only as Arab refugees, even by other Arabs. The concept of a Palestinian “nation” simply did not exist." This is a laughable but unfortunately pervasive misconception that is happily promulgated by the Zionists and their apologists. Who do we think the "Philistines" of the Bible were? The Palestinians have been a distinct Arab sub-group for many hundreds if not thousands of years and Palestine has been a distinct geographical part of the Arab world for at least the last thousand years. This is a dangerous idea and is reinforced by Zionists to further the repression of a proud people with a right to freedom and independence. Israel is the interloper. Not having existed for nearly 2000 years all of a sudden the Zionists return, using European guilt over the holocaust as cover to just announce an independent country then ethnically cleanse Palestine, start several wars and we're supposed to go along with it? Think about it. Most Arabs merely fight the repression that has been foisted on them historically by the Europeans and now the Americans. If we take a good long look at the history of the area especially since WWI that is abundantly clear. The Arabs have been royally screwed time and time again by great power politics. This "Eurabia Code" is just racist Zionist propaganda preying upon a general ignorance of history and masquerading as a political theory. It's sick. Furthermore there are plenty of Eastern European immigrants in Western Europe. I've been to Europe many times in the last 10 years and have seen the changes but to say that Islamic immigrants outnumber European ones is just plain wrong. Look it up. Besides, where are immigrants to Europe going to come from? Immigrants historically come from impoverished nations nearby looking for a better life. In the US we have the Latin Americans and in Europe they have the Arabs, Africans and Eastern-Europeans. This is nefarious? This is just geography. Eurabia is a very poor theory backed up by a selection of facts that would make George Bush and his neo-con stooges very proud. It reminds me of the Tri-Lateralists and The John Birch Society. If it were only true! There needs to be a real counterweight to the American-Israeli Axis in the world. I for one would welcome it. The Israelis and Americans are causing too much trouble and killing too many innocent people. Frank, that attitude and perception of Israel and America being the BIGGEST evils in the world is one of the BIGGEST problems on this planet. Also, America assimilates their immigrants much better than Europe does. This was a very fine and true essay, one that I wish would get a lot more circulation to wake people up to what is happening in front of their eyes. Islam is like a virus who if not halted in time with an antidote will kill of the host. I suggest we should start a peaceful grassroots movement and doing it now before it is outlawed as "hate crime". I suggest we call it R.I.S.E. It would stand for Resist Islamisation Stop Enslavement. Rise is a word with positive connotations, easy to remember and if you just can recall the word it is easy to remember what it stands for.